Another Guy Laroche Pattern by Alber Elbaz? Before his positions at Lanvin and Yves Saint Laurent Rive Gauche, Alber Elbaz designed four seasons for Guy Laroche. (Fall 1997 to Spring 1999; see my earlier post here.) The recent news got me thinking about a Guy Laroche pattern that could also be by Elbaz. Vogue 2368 by Guy Laroche (1999) Image via PatternVault on Etsy. 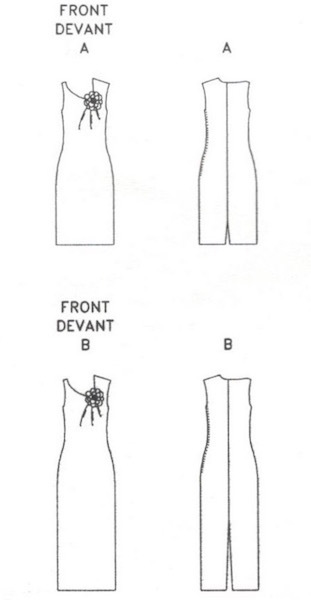 Here’s the envelope description: Semi-fitted, straight, lined, sleeveless dress, below mid-knee or evening length, has neckline tucks, side zipper and back hemline slit. Purchased flower. Recommended fabrics are silk-like crepe, lightweight wool crepe, and satin-backed crepe. 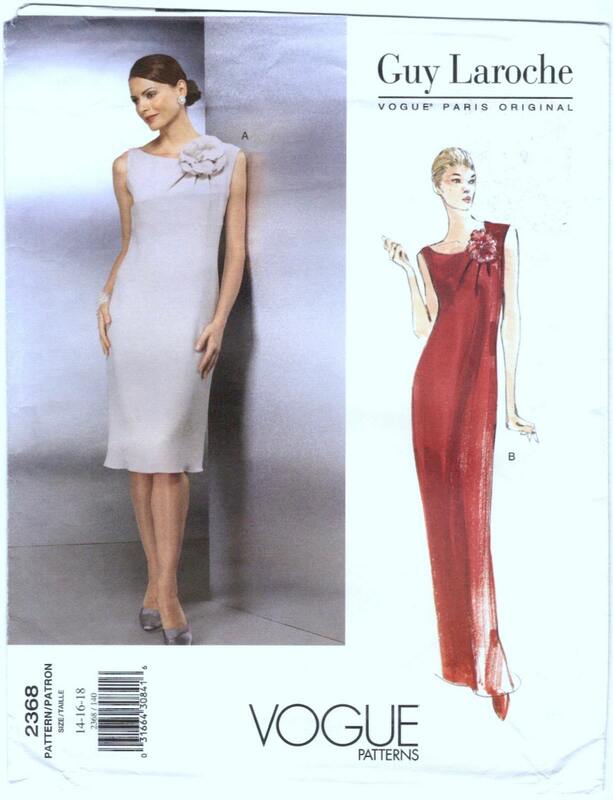 Vogue 2368 was released in late 1999—earlier than Vogue 2497, a design from Elbaz’ Spring 1999 farewell collection for Laroche. It doesn’t match any of the runway looks from Elbaz’ four Laroche collections, but the palette, neckline detail, and especially the flower (an Elbaz signature at Laroche and Lanvin) seem persuasive. What do you think? Guy Laroche SS 1999 © Thierry Orban/Sygma/Corbis. Lanvin flower pin. Image via LuisaViaRoma. 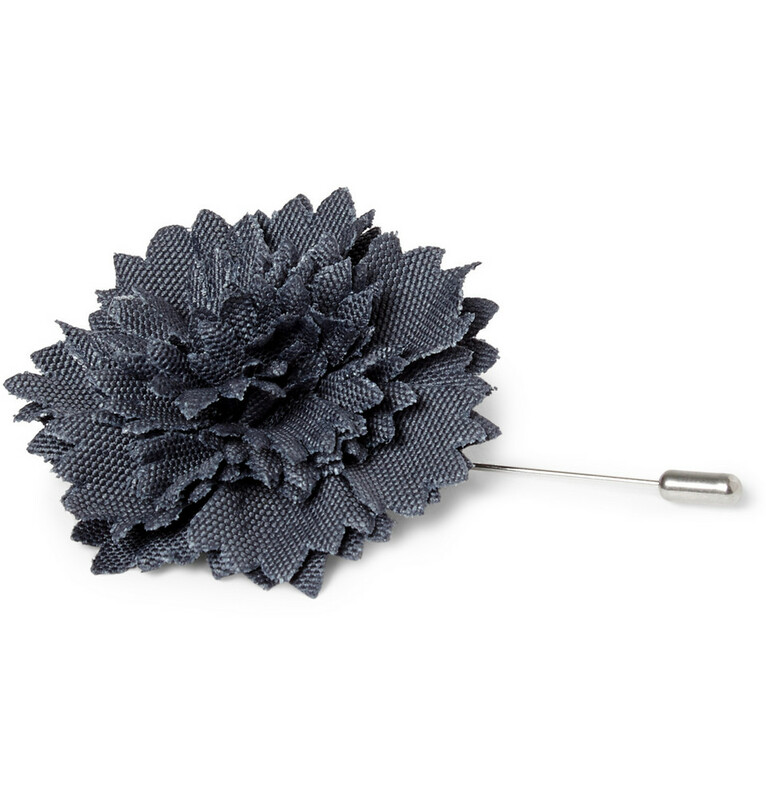 Lanvin flower pin. Image via Mr Porter. I saw a showing of Elbaz’s collection for Guy Laroche at a department store when I was in New York back in the 90’s and was BLOWN AWAY! The whole collection had wit, spirit and something extra I hadn’t seen in years… Back then, he was a relative unknown and one could see he would become the star he has become since. I agree with your supposition. Regardless, it’s a beautiful dress, with timeless appeal. I thought at first the flower was integral to the dress and it really appealed. Then I saw it was attached and I was less enthusiastic. But it seems like good detective work to me. I had a flower pin like that long ago – it was probably a “knock off”. I did love it though. I have been checking out various styles and designs to get ideas for “Designin’ December” and I have found many many Guy Laroche designs that I LOVE! The vintage designs are still relevant too. 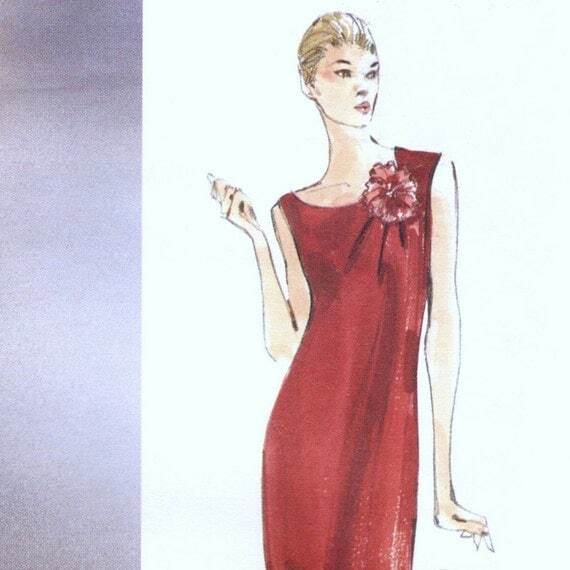 I bought this pattern when it came out because it reminded me of some of the asymmetric necklines Halston did. It would be pretty with a brooch, as well. It is such a simple, yet appealing design.